The Greenbelt is a network of parks, natural areas and open spaces owned and/or operated by city, state and private entities on Staten Island. The city parklands in the Greenbelt are: High Rock Park, Deere Park, Reed’s Basket Willow Swamp, Bloodroot Valley, Willowbrook Park, LaTourette Park, William T. Davis Wildlife Refuge, Manor Park, and the Willowbrook/Richmond Parkways. The private and state owned parcels of the Greenbelt are: Pouch and Kaufman Campgrounds, Richmond County Country Club and Moravian Cemetery. When observed together, all three combine to form approximately 2,800 acres of parklands and natural open space. The Greenbelt’s natural and “Forever Wild” areas support rare habitats such as wetlands, forests, woodlands, meadows, and native rare plant species that are accessible through an extensive trail system in an urban setting. The Greenbelt Natural Resources Team (GNRT), under the umbrella of the Greenbelt Administration, oversees the development and implementation of ecologically based programs to conserve the environmental integrity of the Greenbelt focused on city parklands and natural areas. The Greenbelt Conservancy, in partnership with the New York City Department of Parks & Recreation, works to support the ecological, educational and recreational resources of this remarkable oasis. In addition, The Greenbelt Administration & Conservancy relies on partnerships with the New York-New Jersey Trail Conference, Protectors of Pine oaks Woods, local community groups, numerous interns and volunteers to accomplish its mission. Read our recently published trails’ reports. To initiate the management of our natural resources, the Greenbelt is currently conducting an assessment and inventory program to evaluate the park’s environmental conditions. The staff utilizes the same management technique used in other natural areas within NYC Parks known as entitation. 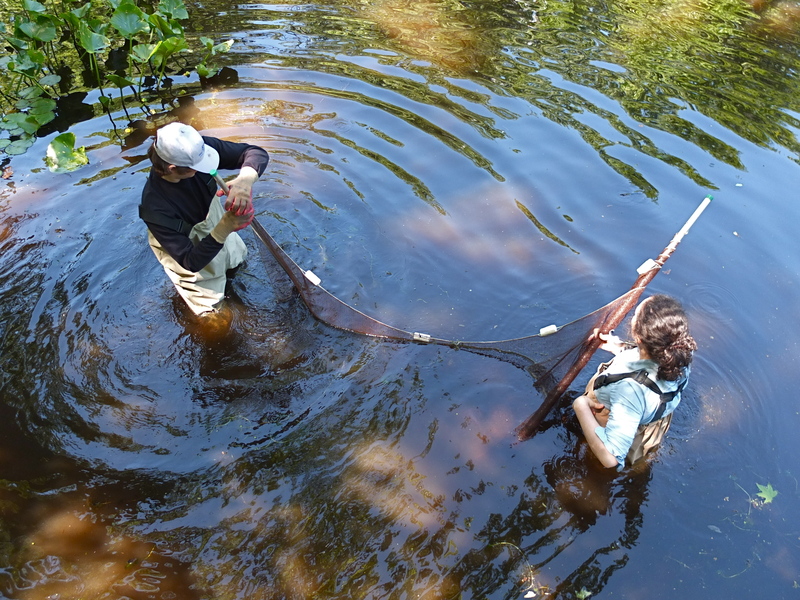 Entitation is specifically designed to assess and inventory ecological data and delineate management areas for restoration for an individual park. There are many types environmental degradation. When natural habitats are destroyed or natural resources are depleted, an environment is degraded. One of the greatest threats to an ecosystem or natural area is non-native species also knows as an “invasive species.” Invasive species can thrive in areas beyond their natural range will ultimately displace native species. Ecological restoration is the process of assisting the recovery of an ecosystem that has been degraded, damaged, or destroyed. The Greenbelt trail system is over 35 miles long, marked with color-coded trail blazes; it includes marked hiking trails and a newly constructed multi-use trail installed in 2009. There is a science and art to trail placement, maintenance, and ecological conservation that has developed over time. A casual hiker may never think about the tread, drainage, grade and sight line of a trail the way a trail engineer or designer might. How a trail is designed determines how well it holds up to use, runoff and blends into the surrounding landscape. The trails throughout the Greenbelt require ongoing maintenance, which is done most often by hand and hard work. This is possible through the efforts of the NYC Parks Greenbelt field staff, Greenbelt Conservancy and Parks volunteers, New York-New Jersey Trail Maintainers and members of the Protector’s of Pine oak Woods in addition to hundreds of volunteers and local Eagle Scouts each year. 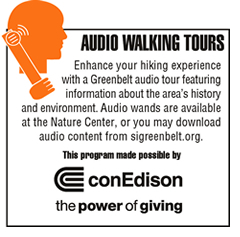 Come explore the Greenbelt’s trails. 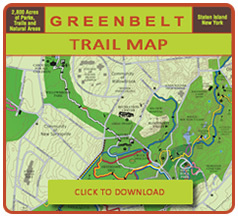 Take a look at the Greenbelt Trail Map. 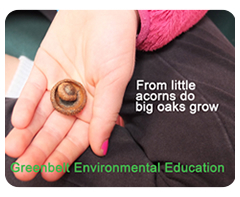 Greenbelt Natural Resources is continually seeking to engage motivated and passionate individuals who are interested in learning about and applying urban natural resource management techniques. Urban ecology and natural resource management are exciting careers! For up- to-date information on full-time, seasonal and internship positions in the Greenbelt or NYC Parks and Recreation, please visit the NYC Parks website for more details.